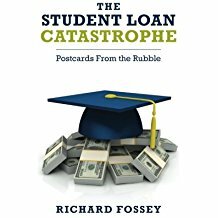 Forty-four million people are burdened by student loans--totally about $1.5 trillion in outstanding debt. What would happen if the federal government just forgave all those loans? 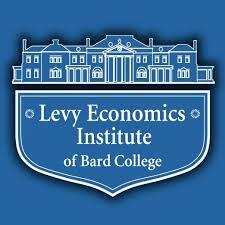 Researchers at the Levy Economics Institute of Bard College asked that question, and their answer might surprise you. Forgiving all this debt, they say, would boost the Gross National Product by $86 billion to $108 billion a year over a ten-year period. Released from their student loans, millions of people would see an immediate increase in their disposable income, permitting them to buy homes, save for retirement, purchase consumer goods, and start families. Moreover, as Eric Levitz pointed out, Congress passed a $1.5 trillion tax cut last year, with most of the benefits going to the wealthy. 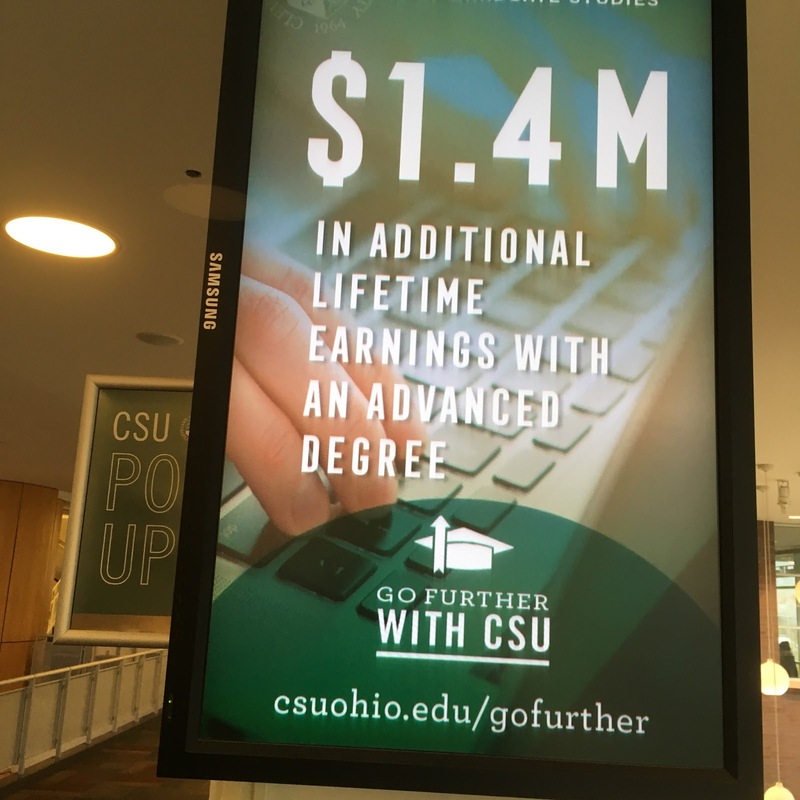 Wouldn't it have made more sense to have forgiven $1.5 trillion in college loans instead? Most of the benefits would have gone to low-income and middle income Americans--not the rich. Of course, our government can't simply forgive $1.5 trillion in student loans and continue the federal student loan program. The thing to do, then, is to replace the student-loan program with free undergraduate education at a public college or university. But wouldn't that be prohibitively expensive? No it wouldn't. As Ryan Cooper argues, the total cost of tuition at public institutions was only $58 billion in 2014. Our government invests twice that amount each year in the federal student loan program. It would actually be less expensive to American taxpayers if we simply shut down the student loan program and gave everyone a free college education at a public college. Theoretically, it is true, the federal government is only loaning students money to attend college; it expects to get that money back at interest as students pay off their student loans. But in fact, about half of the nation's outstanding student-loan balance will never be paid back. It's just going down a rat hole for educational experiences that are overpriced and that often don't lead to well-paying jobs. Of course, forgiving everyone's student loans and providing a free college education would have some major collateral consequences. If Americans could get a free college education at a public institution, they would stop enrolling in private colleges and for-profit schools. If the federal government actually implemented this plan, small liberal arts institutions all over the United States would close their doors and the for-profit college industry would collapse. But the private liberal arts colleges will be closing anyway. Harvard professor Clay Christensen predicts that half of them will close within the next 10 to 15 years as Americans figure out that it makes no sense at all to spend $200,000 to get a liberal arts degree from a nondescript college in the upper Midwest. As for the for-profit schools, they are a cancer and should be closed down anyway. But, critics might ask, what about the moral hazard of forgiving all that debt? Is it fair to allow people to borrow $100,000 or more to get an MBA and then not pay it back? First of all, the student borrowers who are suffering the most have been people who borrowed a relatively small amount of money. People who have borrowed the least are most likely to default. It is true that some people whose student loans are forgiven would receive a windfall, but the vast majority of people who would benefit from wholesale student-loan forgiveness would be people who paid too much money for postsecondary education and did not get fair value. Furthermore, whatever moral taint can be found in student-loan forgiveness is as nothing compared to fraud committed by the for-profit college industry, the exploitation by the student-loan debt collectors, and the venality of university presidents making million-dollar salaries while students are forced to borrow more and more money to pay escalating tuition rates. And if massive student-loan forgiveness still sticks in the nation's craw, then let's just reform the bankruptcy laws and allow deserving debtors to obtain relief from their student loans in the bankruptcy courts. If the "undue hardship" provision were removed from the Bankruptcy Code, literally millions of Americans would file bankruptcy and get relief. But the Bard College researchers have gotten to the heart of the matter. We should forgive all student loans and simply allow people to study for free to get an undergraduate education at a public university. Ryan Cooper. The case for erasing every last penny of student debt. The Week, February 8, 2018. Doug Lederman. Clay Christensen, Doubling Down. Inside Higher Ed, April 28, 2017. Eric Levitz. We Must Cancel Everyone's Student Debt, for the Economy's Sake. New York, February 9, 2018. Scott Fullwiler, Stephanie Kelton, Catherine Ruetschlin, and Marshall Steinbaum. The Macroeconomic Effects of Student Debt Cancellation. Levy Economics Institute of Bard College, February 2018.